I don't eat nabe, and neither do my kids, but we enjoy dining at Ichiriki Japanese Nabe Restaurant. We recently went to the Aiea location, where I met up with a couple of friends. I had my usual - chicken karaage (this time with fries instead of tofu salad), and each of my kids ordered the Kids Meal. 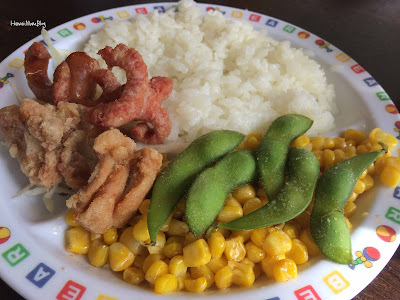 For just under $5, kids will get a plateful of rice, chicken karaage, sausage (shaped into a cute octopus), corn, and edamame. 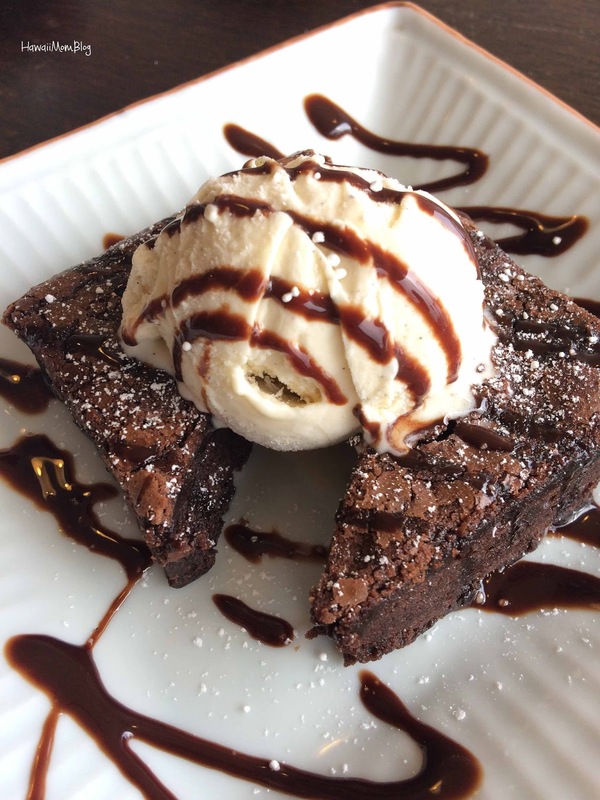 For dessert, the kids shared the brownie and ice cream, and a friend ordered the Ichiriki Ice Cream. 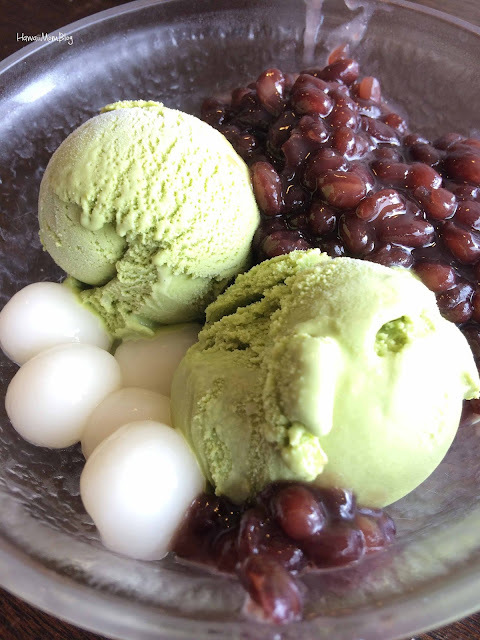 She opted for green tea ice cream, and it was served with mochi and azuki beans. Ichiriki offers a variety of other appetizers as well, so non-nabe eaters will have several options to satisfy their appetite.